It would be nice to think that perhaps the loathsome, preening moral narcissists of the left, unable to comprehend the simplicity of the Bill Leak Cartoon could understand this picture a little better, though I doubt. 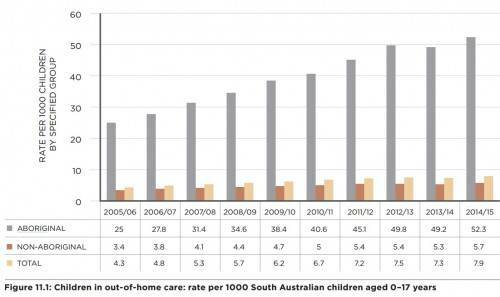 “…Nationally, Aboriginal and Torres Strait Islander children (birth to 17 years) are seven times more likely to be the subject of a substantiated report of child maltreatment than other children. In South Australia, the figure is 10½ times. A terrible problem that’s only getting worse. But where are the hashtag moralists now who were so quick to damn Leak? What is the worst crime now: to neglect or beat many hundreds of Aboriginal children or to draw a cartoon to draw attention to it?